How Many Miles Will You Earn on Your Next United Flight? Frequent flyer programs used to award miles to members based on the distance they’ve flown, but most programs have now moved to a revenue-based model. That means the number of miles you’ll earn on a flight is determined by the cost of the ticket, but elite status can multiply that. The details of how that works depends on the airline. Let’s take a look at United’s policy. 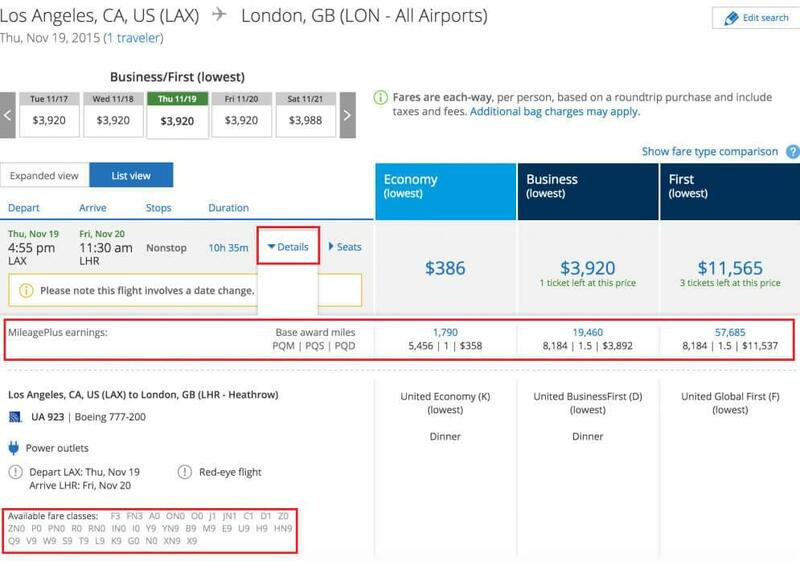 With a few exceptions which we’ll deal with later, United flights booked through the airline’s website will earn award miles based on the price of the ticket and your elite status. If you’e not sure where to go, register for RewardExpert to find the best places to use the MileagePlus miles you have or plan to earn. 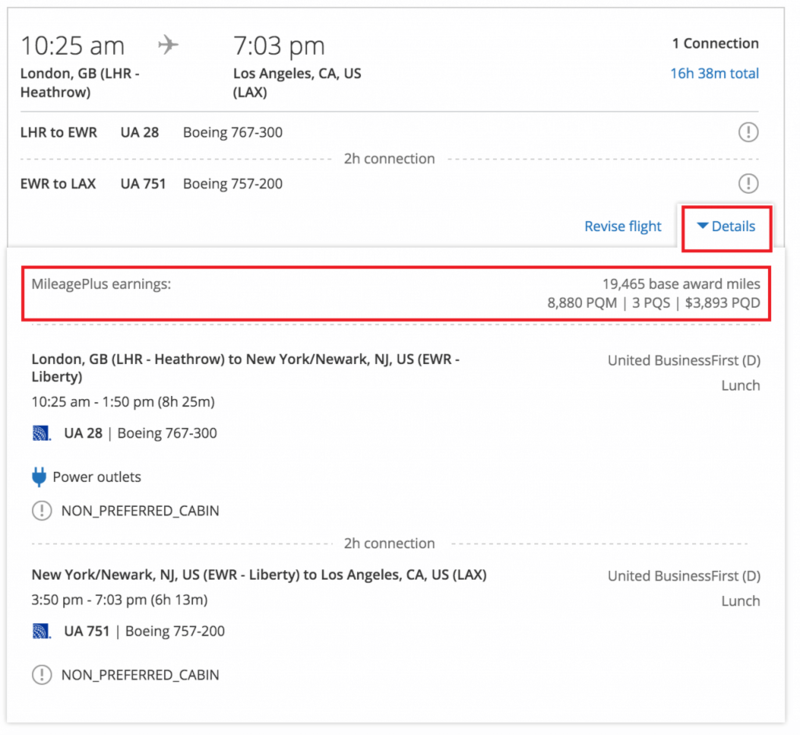 Standard United MileagePlus members earn 5x the cost of their ticket. So multiply the cost of your ticket by five and and you’ll get the number of miles you’ll earn for that flight. Elite members earn more, with the total miles equaling between 7x to 11x the cost of the ticket. There are a few tricks to this though. First, taxes and fees are excluded from the cost of the ticket when calculating miles. For instance, if your ticket costs $386, you’d expect to earn 1,930 miles. But you don’t. You’ll get 1,790 miles because you need to subtract $28 in taxes and fees from the final ticket price. In the following sections, we’ll show you how to see the taxes, fees and miles earned per ticket before you make your purchase. So what exactly is a fare class? It is the class associated with your ticket when you’re booking it and is a letter such as J, D, or Z. Each letter stands for a fare that represents different prices, amenities and other characteristics, such as how many PQM and PQS you’ll earn on your flight. It’s a bit complicated, but it’s the basis of how airline pricing works. If you want to maximize the PQM you’ll earn on your flight, it’s very important to choose the right fare class. You can view the mileage accrual rules for United’s fare classes to ensure you get it right. Keep in mind that these rules change, so you may want to check with United before you book. This will allow you to see the fare class when you search for flights. Below is a sample booking. In the results, click on Details. This will show you your mileage earnings for the ticket, as well as the PQM, PQS and Premier Qualifying Dollars (PQD). This is an easy way to see exactly what you’ll earn on your flight without having to calculate your earnings based on the cost of the ticket, fare class and distance flown. There’s also a section at the bottom of the search results that says Available Fare Classes. This tells you how many seats are available in each bucket. Select the fare that matches the earnings you want by hovering over the price and clicking on it. Repeat for all your flights on your itinerary. It’s possible to mix fare class, too, so you can book a J, which is a full-fare business class ticket, on the outbound flight, and D, which is a discounted business class seat, on the return flight. If you click on Details on the next page that shows your final itinerary, you’ll see all the fare classes you’ve booked. It will also tell you the total miles, PQM, PQS and PQD you’ll earn. When booking flights operated by United’s partners, use the partner earning chart. Typically, if you fly in business or first class, you’ll earn anywhere from 100 to 150 percent. Award mileage accrual for tickets on partner airlines that are not issued by United, and for specialty tickets where United does not know what fare was paid (including unpublished, consolidator, bulk, group and tour tickets), is based on fair class and distance flown, not the cost of the ticket. As of January 2018, both the United MileagePlus Explorer Card and the United MileagePlus Explorer Business Card will earn new cardholders 40,000 and 50,000 bonus miles respectively. The icing on the cake is you can combine those bonus offers from United Cards. In addition, you can transfer 50,000 Ultimate Rewards bonus points to your United Miles account if you get the Chase Sapphire Preferred Card.